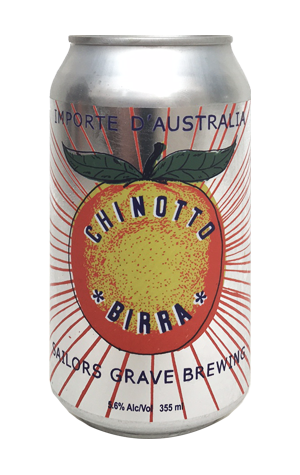 Having snapped up the entire crop of Chinotto oranges from past collaborators Mountain Yuzu, they set about designing a beer that would recall the soft drink popularised by San Pellegrino's dark brown, bittersweet version. To do so, they brined the fruit in seawater for two weeks then candied them into a syrup with cassia bark. This was then blended into a beer that we can only assume would have tasted like a pretty rich and sweet amber ale even without the syrup – certainly the caramel-toffee-treacle aromas, not to mention it's ruddy, chestnut hue, hail from that part of the beer spectrum. It's on the palate that the fruity, spicy syrup really comes to the fore, adding an intense dark citrus, somewhat salty and faintly woody character that, not for the first time with a Sailors Grave beer, takes the experience wandering out of the realm of beer and into cocktail territory. It came as little surprise, then, that when sitting down to write about it five minutes ago, we read on the can that the recipe was created alongside a bartender from Sydney's Firedoor. They should work with Toby again.